Students, teachers, and history buffs interested in archaeology have an opportunity this summer to join a field school led by Southern Maine Community College adjunct professor Dr. Neill De Paoli and sponsored by the Old Berwick Historical Society. Old Fields Archaeological Field School participants began unearthing a structure last year that likely served as a home and tavern in the early 1700s. Above, a stone wall to the cellar, structural foundation or set of steps. The Old Fields Archaeological Field School will be held in three sessions: June 25-29, July 2-6, and July 9-13, 2012. The focus of the dig is in Old Fields, a semi-rural neighborhood that 330 years ago was a small hamlet of several homes, a tavern, meetinghouse, burial ground, town wharf, and expansive hay fields. Historical documents suggest this locale was a fortified garrison during the conflict-ridden 1690s and early 1700s. In 1690 and 1691, Wabanaki war parties attacked an Old Fields garrison and two men working in a nearby field. Field school participants this summer will work to uncover more of a structure first unearthed in 2011 that appears to have been a home and the tavern. They will also search for the first clear-cut evidence of the fortified Spencer garrison that is believed to have stood on this property in the 1690s and early 1700s. The program will be highlighted by a ground-penetrating radar survey of the site, a field trip to South Berwick’s Counting House Museum, and weekly films and discussions. De Paoli has 35 years of experience as a historical archaeologist, having directed archaeological projects in Maine, New Hampshire, and Massachusetts. The Old Fields Archaeological Field School is limited to a maximum of 10 enrollees per session. Participants must be at least 16. The program will run Monday through Friday, 9 a.m. to 3 p.m. Tuition is $175.00 for one session, $325.00 for two and $480.00 for all three sessions. 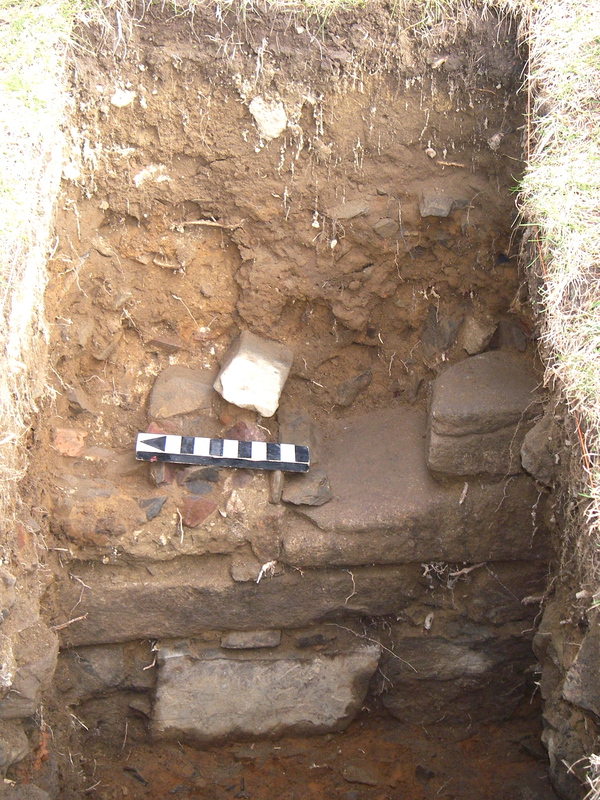 More information about the dig, including registration information, is available on the Old Berwick Historical Society website and by contacting De Paoli at 603-766-0561 or ndppquid@yahoo.com.